Inside GNSS Editor Glen Gibbons talked about GNSS coverage and how journalists see the technology in a presentation to the delegates of the third meeting of the International Committee on GNSS (ICG-3) in December 2008 in Pasadena, California. Thank you for the invitation to speak today. I’ve been writing about GNSS for more than 19 years, but here I’ve been asked to make a few comments about how journalists cover the subject of GNSS and an organization like the ICG. More than 30 years after the first GPS satellite was launched, I don’t believe that we can truly call the Global Positioning System new – modern, perhaps, certainly high-tech, but not new. But this article reminded me that when Europeans sailed across the Atlantic Ocean and landed on North and South America, they called it the New World – even though people had been living here for 15,000 years. Which just goes to show that when we encounter something for the first time, we call it new – even if it has been around for a long time. In a way, though, that’s how journalists decide that something is news – if it’s new to them. Having started my career in daily newspapers, I can tell you that coverage of a subject like GNSS programs or coverage of an organization like the ICG is a real challenge for popular news media. GNSS is too big, too complex, too technical for most mass media to be able to talk about in a big-picture way. Reporters discover GNSS at different times in different ways and, because of the nature of their jobs, they almost always approach the subject from a partial and specific perspective, rather than a general and broad understanding. This tendency is reinforced by the characteristics of journalists’ audiences. Readers and viewers of general sources of news are oriented toward events, trends, and personalities, not processes, programs, or institutions. News is also an exceptions-based business. An old saying in our profession goes: “Dog bites man” isn’t news. “Man bites dog” is. So, a successful launch of a GNSS satellite might get a paragraph or two in a newspaper, but a launch failure will usually get more. Because successful launches have become the norm. Another example: Perhaps the greatest untold story of GNSS in the mass media is its contribution to precise timing. Along with surveying, timing is the oldest application of GNSS technology. It is also one of the most important applications – if we consider the role of timing in communications, finance, and electrical power distribution. But we expect our cells phones and ATMs and electric lights to work – so, the role of GNSS in timing is not news. Except on that rare occasion when a GNSS satellite clock begins to malfunction and causes problems for commercial aviation, or interference jams receivers at a cellular base station and shuts down phone service. Then GNSS becomes news. But not under the circumstances or with the focus that system operators would prefer. So, I believe that the larger story of GNSS and the ICG will continue to be told by specialty publications such as Inside GNSS. Okay, then, what kind of story or stories will this meeting of the ICG produce? Well, it’s still early in the week, but a couple of things have emerged: more fascinating applications of GNSS, and the question of convergence or divergence around the principle of interoperability. One of the most important things that the ICG has done, in addition to bringing the GNSS system operators together in a Providers Forum, is to open up the organization up to user communities and, at this meeting, to industry. And that produces stories like we heard yesterday afternoon and today about the many successful uses of GNSS. Now for an organization to thrive – and also to gain the attention of news media – it helps if it does something that no other organization does — or at least does it better than any other. And, to be newsworthy, what that organization does has to have practical effects on people’s lives. For the ICG, I think, those questions revolve around interoperability. 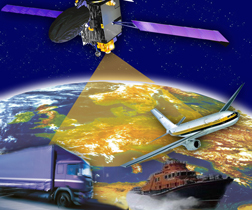 Information exchange is very useful, but that could probably be achieved through bilateral channels or even through the various GNSS industry conferences held every year. Compatibility also is obviously an important issue, but the ITU probably provides a place and process to achieve that. However, interoperability – and its practical manifestation in common standards or even some measure of operational coordination — is a subject that invites multilateral attention by governments, augmented by the participation of user communities and industry. As an outside observer, I was very pleasantly surprised at the statements that came out of the last ICG meeting in Bangalore. Perhaps you even surprised yourselves. Because those statements – particularly from the Providers Forum – appeared as a great step forward toward making GNSS a system of systems. And the ICG clearly provides an environment in which system operators can discuss their program developments openly, as reflected by yesterday’s presentations by system operators. This meeting, however, has also revealed some substantial variations on the theme of interoperability. So, that’s the second major story that I see coming out of the ICG: Will these systems continue to converge or will they begin to diverge? Will common signal structures continue to spread beyond the bilateral agreements already in place? Will there, perhaps, be three common center frequencies among the many signal choices being offered? Will there need to be a GNSS radio frequency non-proliferation agreement? Can a coordination arrangement such as COSPAR/SARSAT be worked out for GNSS? For reasons of political sovereignty and security, the future will be that of a multi-GNSS world. And multiple GNSS systems will encourage a certain element of competition and innovation. But the marketplace, the pressure of users will encourage — will even demand — cooperation and interoperability. Silicon can only do so much. Receiver electronics has its limits. Manufacturers can produce smaller, cheaper, better GNSS products that can handle very different types of signals. But they can’t create the signals in space nor the frequencies on which those signals are transmitted, nor coordinate all the related technical factors that contribute to cost and functionality of GNSS user equipment. So, the ICG needs to keep pushing ahead — to demonstrate that it can actually make a tangible and beneficial contribution to the creation of a GNSS system of systems. That’s what I see as the story of ICG so far and probably the next few chapters as well. And I’m looking forward to seeing and writing about how that story turns out. Copyright © 2008 Gibbons Media & Research LLC, all rights reserved.